Monel Round Bar, Monel® Rods, Monel Round Bars Stockist, Monel® Alloy Bars, Grade 400 Monel Hot –Finished Round Bars Exporters, 400 Monel® Cold Drawn Round Bars, Nickel Alloy 400 Black Round Bar Suppliers, ASTM B164 Monel® 400 Bright Round Rod Manufactures, Monel® 400 Forged Bars, 400 Monel® Alloy Peeled / Turned Round Bars Stockholders in Mumbai India. Monel® 400 Hex Rods Dealers in India, Monel® Alloy 400 Forged Round Bars Distributors, Nickelvac® 400 Rods Exporter, UNS N04400 Monel Polished Bars Stockists, Monel® 400 Hexagon Bars, Monel Alloy 400 Welding Rod, Type 400 Nickel Alloy Square Bar in Mumbai. Renine Metalloys is a well-known distributor of Monel Alloy 400 Round Bars, which has good ductility and thermal conductivity. Our Monel 400 Bars is often used for marine engineering, hydrocarbon processing equipment, chemical, and heat exchangers. Additional application area of these Monel 400 Rods is in marine environments and other non-oxidizing chloride solutions. Our Monel Alloy 400 Bars is a nickel-copper alloy with high strength and excellent corrosion resistance in a range of media including sea water, sulfuric acid, alkalis, and hydrofluoric acid. However, excellent results can be obtained in these Alloy 400 Rods if you make the correct choices for tooling and machining. Due to its resistance to deterioration, our Alloy 400 Bars is most often used in parts found in marine and chemical environments. For gas tungsten arc welding (GTAW) and gas metal arc welding (GMAW), these Monel 400 Square Bars is used to deposit near-matching composition weldments. Compared to carbon steel, piping in our Monel 400 Flat Bars is more than three times as expensive. Cold working in these Monel 400 Threaded Bars may be done using soft die materials for better finishing. Our Monel 400 Hollow Bars is often used for heat exchangers in a variety of industries. The unique properties of these Monel 400 Hexagonal Bars make it a staple of marine, chemical, and numerous other applications. Cold-drawn or cold-drawn stress-relieved material like such as our Monel 400 Triangular Bars gives best machinability and surface finish. 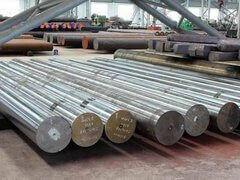 Form: Round, Square, Hex (A/F), Rectangle, Billet, Ingot, Forging Etc. Jaipur, Ludhiana, Australia, Atyrau, Nagpur, Coimbatore, Haryana, Port-of-Spain, New Delhi, Seoul, Montreal, Manama, Al Jubail, Bhopal, Brisbane, Gimhae-si, Turkey, Dallas, Al Khobar, Kanpur, Caracas, Hanoi, Thiruvananthapuram, New York, Bogota, Indore, Colombo, Doha, Kuwait City, Kuala Lumpur, Rajkot, Chiyoda, Karachi, Madrid, Kolkata, Moscow, Riyadh, Jakarta, Geoje-si, Visakhapatnam, Mexico City, Ho Chi Minh City, London, Dammam, Muscat, Ernakulam, Jeddah, Milan, Vung Tau, Hyderabad, Lahore, Pune, Ranchi, Abu Dhabi, Hong Kong, La Victoria, Mumbai, Tehran, Petaling Jaya, Toronto, Thane, Granada, Gurgaon, Dubai, Sharjah, Ulsan, Sydney, Algiers, Nashik, Faridabad, Surat, Rio de Janeiro, Bangkok, Jamshedpur, Vadodara, Singapore, Pimpri-Chinchwad, Aberdeen, Lagos, Chennai, Chandigarh, Bengaluru, Perth, Navi Mumbai, Busan, Edmonton, Ahvaz, Noida, Courbevoie, Santiago, Houston, Howrah, Baroda, Los Angeles, Istanbul, Secunderabad, Cairo, Calgary, Ahmedabad. Ecuador, United Kingdom, Nigeria, Gambia, Zimbabwe, Mexico, Slovakia, South Korea, Gabon, Costa Rica, Qatar, South Africa, Hungary, Nepal, Mexico, Italy, Austria, Spain, Iran, Venezuela, Sri Lanka, Bangladesh, Philippines, Malaysia, Bhutan, Hong Kong, Indonesia, Bolivia, United States, Belarus, Portugal, Lebanon, Jordan, Bulgaria, Kazakhstan, Nigeria, Kuwait, Serbia, United Arab Emirates, Netherlands, Sweden, Germany, Mongolia, Estonia, New Zealand, Bahrain, Chile, Afghanistan, Croatia, India, Yemen, Saudi Arabia, Azerbaijan, cyprus, Lithuania, Canada, Japan, Finland, Ukraine, Thailand, China, Israel, Poland, Switzerland, Colombia, Namibia, Greece, Taiwan, Iran, Tibet, Denmark, Singapore, Norway, Puerto Rico, brazil, Vietnam, Belgium, Peru, Australia, Egypt, Ireland, Czech Republic, Libya, Turkey, Romania, Macau, Morocco, Ghana, Brazil, Trinidad & Tobago,Tunisia, Oman, Chile, Kenya, Argentina, Russia, France, mexico, srilanka, thailand, malaysia, Poland, Algeria.